The Gillgel Gibe III hydropower project, which is 98% complete now, has now became operational in a trial phase after three of its turbines are installed and the dam stored enough water to generate power. After satisfactory trial, the power plant will be generating 500 megawatt this month or the next and all turbines will be operational by December. The Gibe III Hydro-power project, with its ten turbines when installation is fully completed, is indeed a key part of Ethiopia's economic transformation and the vision to attain middle-income status by 2025. Gibe III, with its total generating capacity of 1870 MW, is the largest of all the hydropower plants that went operational so far. It did cost about $1.8 billion and will double the current electric power generating capacity of the country. Its 150 kilometers long Roller Compacted Concrete technology dam has not only enabled time-efficient project performance but also reduced the amount of cement used by one third. Not to forget, the diligence and commitment of the more than 7,000 workers of the project and the political leadership facilitating the works from inception to its realization. Just as the engineers and day laborers in the hot Omo region were working to realie this major projects, others have been waging a desperate effort to stop it. Last month, ahead of U.S. president Barack Obama's visit to East Africa, western anti-dam groups started writing letters urging the President to raise concerns about the dam's impact on Kenya when he met with government officials in Addis Ababa. "The Gibe 3 Dam is one of the most environmentally and socially destructive projects in Africa," Kenyan campaigner Ikal Ang'elei, Executive Director of Friends of Lake Turkana, told President Obama in a letter earlier this month co-signed by Mr Bosshard, the head of the US-based International Rivers group. Ms Ang'elei, who was honoured at the White House in 2012 after winning a $150,000 environmental prize, warned that the recently completed dam on Ethiopia's Omo River will drastically reduce the flow of water into Lake Turkana. Kenya's electricity grid is also set to benefit from the dam through a World Bank-financed transmission line designed to carry 500 Megawatts of power. Kenyan officials have not responded to warnings about the dam's effects on the peoples living near Lake Turkana, the activists say. The activists themselves admit that the government of Kenya didn't endorse their agenda. The reason is not a mystery. It is because of the major positive impact of the dam. Gibe III is not merely an Ethiopian national project. It is of regional significance. It will benefit Kenya, Djibouti and South Sudan, among others. "Kenya will soon begin buying cheaper electricity from Ethiopia. The two counties have secured funds for construction of a 1,068-kilometre power line, expected to be completed in September 2018. Despite Gibe III Hydropower project's promise to transform the lives of millions in Ethiopia and Kenya in Ethiopia and Kenya, it construction has not been an easy process. The first tactic of these anti-dam groups was funding organizations. They launched political campaigns against international funding institutions to drag the lending process, thereby prolong Ethiopia's road to escape poverty. To their dismay, the Ethiopian government withdrew its funding requests and decided to construct the dam by its own money. At the time, both the anti-dam groups and others thought that the project would collapse. It was only after the project progressed as per the schedule that a Chinese bank came in to lend some 495 million dollars for the purchase and installation of electrical and mechanical equipment of the project. Eventually, World Bank came on-board last year to finance the construction of transmission lines to Kenya. The anti-dam groups launched campaigns against the Chinese and World Bank finances, but it was already clear that Ethiopia could finish and use the Gibe III dam without those funds. All these attempts failed one by one and the project is complete now and started generating power when its first turbine became operational. This, apparently, created desperation among the anti-dam groups. Since they failed to twist Ethiopia's hands, they started spinning issues to fit their fantasy. As a matter of fact, the two governments never disputed on the matter. In fact, they signed a power purchase agreement in 2011 and agreed on the terms of constructing a regional power inter- connector to link their grids and implement the regional trade in electricity. Unfortunately, the anti-dam groups and affiliated experts continue to make exaggerated and alarmist statements. The commonest alarmist remarks can be summarized into three. - The Gilgel Gibe III was based on flawed studies and the dam will produce a broad range of negative effects, some of which would be catastrophic to both the environment and the indigenous communities living downstream. - Ethiopia’s Gilgel Gibe III dam will drain upstream waters [and] will critically damage Lake Turkana, 675 kilometers downstream...and water levels in the lake could drop by as much as 10 meters once the dam is operational." - "Some estimates say that beyond the 20,000 who depend directly on the lake’s waters, more than 200,000 Kenyans and Ethiopians would be impacted by a drop in lake waters." However, these have been discredited by several researches. These apocalyptic claims have been discredited by several research findings time and again. The environmental and social impact assessment undertaken on the site of the dam indicates there is no significant effect both in down and upstream areas. However, the reservoir area of Gibe III dam is neither contiguous with nor in close proximity with any of these nationally protected areas. As the effect of the less favorable rainfall, Tsetse fly infestation and the consequent occurrence of cattle disease, trypanosomiasis, and the steepness of the slope on either side of the valley, there is very little farming activity around the Omo valley bottomlands. This makes is almost with no significant effect on the farmers and other settlers in the area as the valley is an ideal place for the dam to be situated. The importance of the Gibe III reservoir area and the immediate surrounding has been investigated in terms of religious and cultural site relics and archaeological importance. Based on this investigation the historical sites known as King Ejajo (in Wolayta Zone) and King Halala (in Dawro Zone) walls were found on both sides of the Omo River. According to researches, the dam's reservoir will not totally have any effect on King Halala Wall while only 2 per cent of King Ijajo Wall may be covered by it. Although the lower valley of the Omo River (downstream of the Gibe III dam) was designated a UNESCO World Heritage Site (because of geological and archaeological importance), the proposed dam and the reservoir areas are not in close proximity to this UNESCO designated heritage site. No visible archaeological remains, which have scientific, cultural, public, economic, ethnic and historic significances, have been observed in the area and dam sites. The sites have no archaeological importance. That report also noted that the lake levels actually fluctuate three to four meters seasonally in any one year at the moment in any case. The most comprehensive study of the impact of the dam, done in 2010, calculated that the hydrological impact would be a fall of up to 2 meters, no more. After all, Ethiopia's is getting stronger by the day, therefore more and more able to pursue mega projects regardless of foreign finance. Nevertheless, Ethiopia is not a rich country yet. It needs economic assistance for her ambitious plans of socio-economic transformation. Some anti-dam groups repeatedly claimed that: "many villagers have been removed to provide up to 300,000 hectares in South Oromo for proposed sugar and cotton plantations." Others declared: “Grabbing land and water for sugar plantations will spell ecological collapse and hunger for the 500,000 indigenous people”". These allegations were simply false and there is no evidence for the alarmist claims over water levels or Lake Turkana. Members of the Donor Advisory Group in Ethiopia have been watching the resettlement projects and developments in the Omo Valley closely. In their last visit to the Omo Valley representatives of eight countries, including six ambassadors, spent several days in the area meeting senior regional officials, local authorities, and local communities. The donors' report provided no support for the wild claims of anti-dam groups and had no criticisms of the principles of developing commercial agriculture or the resettlement activities being carried out. It did, however, underline a number of points it felt were important including continued and improved discussion and communication prior to development activities and the importance of ensuring that adequate provision and development of services were in place prior to any resettlement. Indeed Ethiopia has been making huge investments in terms of hydropower generation capacity under the 5-years Growth and Transformation Plan(GTP. Even before that the government built several hydropower plants, including Tekeze, Gilgel Gibe ll and Tana Belese plants. 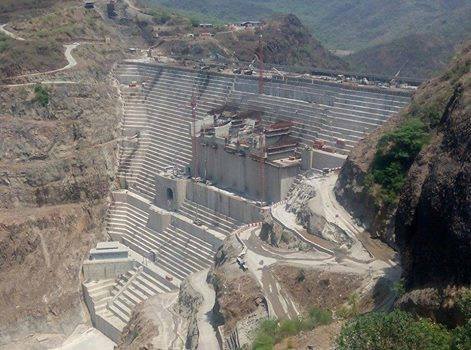 Two key projects, that is, Gilegel Gibe 3 dam is complete and operational while the Grand Ethiopian Renaissance Dam is more than 60% complete. The hydropower plants take the lion’s share for the multiple fold growth of Ethiopia's hydropower generating capacity. The total number of registered electric power user households was less than 950,000 in 2005. But by 2010, it was more than 2 million. Ethiopia has provided over 60 million USD worth electricity to neighboring countries in a year. Currently, Ethiopia provides 100 megawatts electricity to Sudan and up to 50 megawatts to Djibouti. Electric power transmission lines with the capacity of carrying 2000 megawatts are also being extended to Kenya to supply power to the country. Moreover, beyond East Africa, Ethiopia is undertaking preparatory works to export electricity to Yemen via Djibouti, and electric power will soon be supplied to South Sudan and Somalia. These power export endeavors not only increases the foreign currency earning of Ethiopia, but also strengthens the relations among the countries that would have pivotal role in stabilizing the region. The draft master plan of electricity and energy aims to boost power exports from to at least 5,000MW. That is achievable as Ethiopia’s potential power production capacity from hydro as well as geothermal, wind and solar energy is estimated more than 60,000MW. That is equal to roughly half the total current installed capacity in Africa of 147,000MW! Several reputable scholars and institutions have noted these ambitious plans as visionary. Indeed, the capacity and determination of Ethiopia to electrify her own farmers and the region is now verified by the commencement of power generation at Gibe III dam. Ethiopia was exemplary in harnessing country’s resources towards sustainable development. Ethiopia’s natural topography as convenient for power generation and said this will help in is expanding power generation within the region. Ethiopia’s power connections with Kenya would enable Uganda to benefit and import energy from Ethiopia.